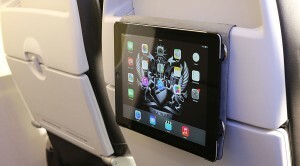 When British Airways unveiled their new short-haul cabin product, one of the benefits they touted in the press release was an iPad holder incorporated into the new seat back. 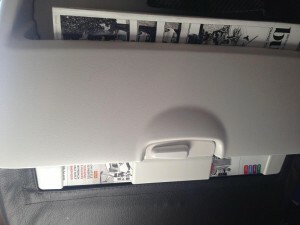 Customers can also make use of an eye-level seatback tablet-holder, which can also provide storage for magazines. Sadly this sentence should have been written the other way around – and also had a lot of caveats attached! … and it was those strange metal loops sticking out the sides that first grabbed my attention as I struggled to work out how it worked. 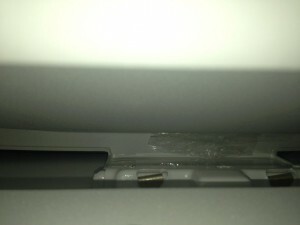 It looked like a fabric flap came over the front of the seat pocket. 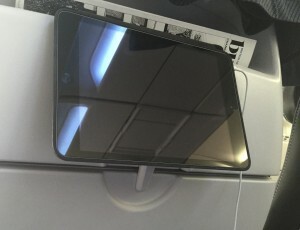 But how did it grip the tablet? What did the loops do? 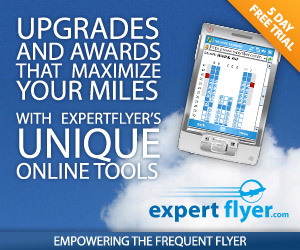 So how did they attach the iPad in their promotional images- where the pocket is empty of magazines? I have no idea! … with the three BA magazines in there (Business Life, HighLife and the High Life Shop), they held the cover flap of my iPad mini case (which is the official Apple leather case) relatively well and could certainly support the iPad Retina Mini without issue. 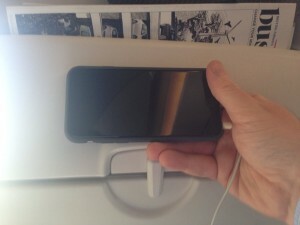 It did however result in the screen of the mini leaning up a bit, this was actually a very comfortable viewing angle for me but differs from the pictures. I do still very much welcome the relocation of the seat pocket to the top, but I wouldn’t be touting it having an iPad holder as such. 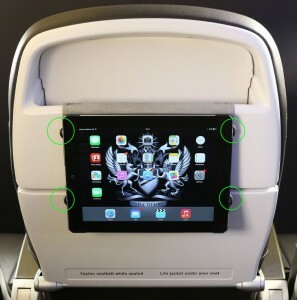 If I have missed something about how the new BA seat pocket is supposed to grip the flip cover of the iPad case, please let me know!